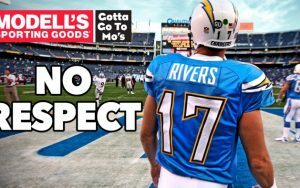 Philip Rivers seems to be the forgotten man in Fantasy Football. In this week’s Modell’s Minute, Adam Ronis touts the virtues of waiting on a quarterback and making Rivers your QB1 in Fantasy Football drafts. Pat Mayo and JJ Zachariason kick off with some brief and Pittsburgh talk before jumping into a 2016 Fantasy Football Strategy discussion and properly rating the players value from each position. 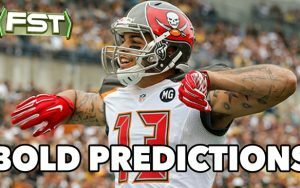 Jake Ciely makes some bold predictions that could lead to fantasy championships in the coming Fantasy Football season. 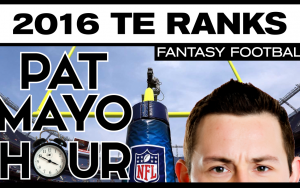 Pat Mayo, Chris Meaney & Tim Anderson assess the entire player pool of running backs, debate each player and create Mayo’s 2016 TE Rankings. Rob Gronkowski gets all the love, but is Delanie Walker a smarter pick? 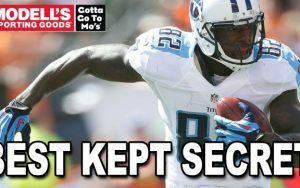 Gregg Sussman runs down the pros of drafting Fantasy Football’s best kept secret. Pat Mayo, Garion Thorne & Tim Anderson assess the entire player pool of QBs, debate each player and create Mayo’s 2016 Quarterback Rankings. Pat Mayo & Christopher Harris debate different draft strategies to consider entering into the 2016 Fantasy Football season. Plus, a look into the off-season’s most contentious players, variance vs consistency, player rankings, and a few draft sleepers that may emerge as the preseason approaches. 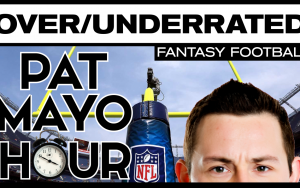 Pat Mayo and Rumford Johnny bounce all over the Fantasy Football spectrum discussing the most common draft strategies they’ve seen so far this year, and which players are constantly going undervalued. They chat dynasty drafts, debate different RB and WRs, and talk different ways to win best ball leagues. They close switching to podcasting and which TV shows they’re watching right now. Pat Mayo & Liz Loza recap the first eight rounds of the initial 2016 Fantasy Football Yahoo Mock Draft. They discuss draft strategy, debate value from each round, and which players they expect to rise and fall as the NFL season approaches. Pat Mayo, Garion Thorne & Tim Anderson assess the entire player pool of running backs, debate each player and create Mayo’s 2016 WR Rankings.